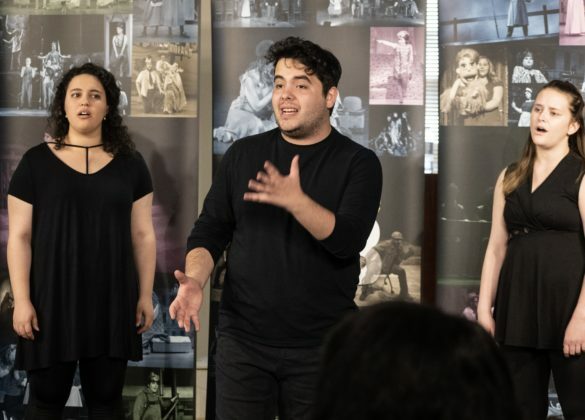 For those in the West End community who’ve never taken a trip to New York City’s Broadway to see popular stage shows, last week Broadway came to them. 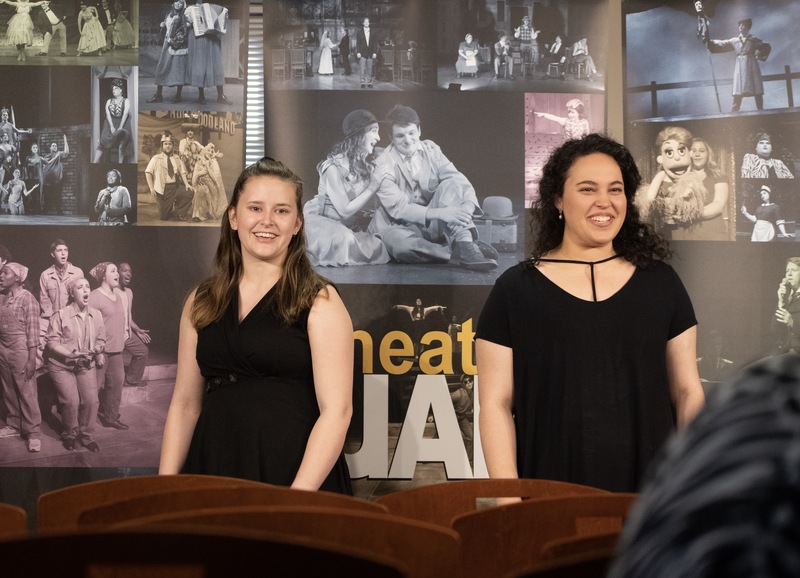 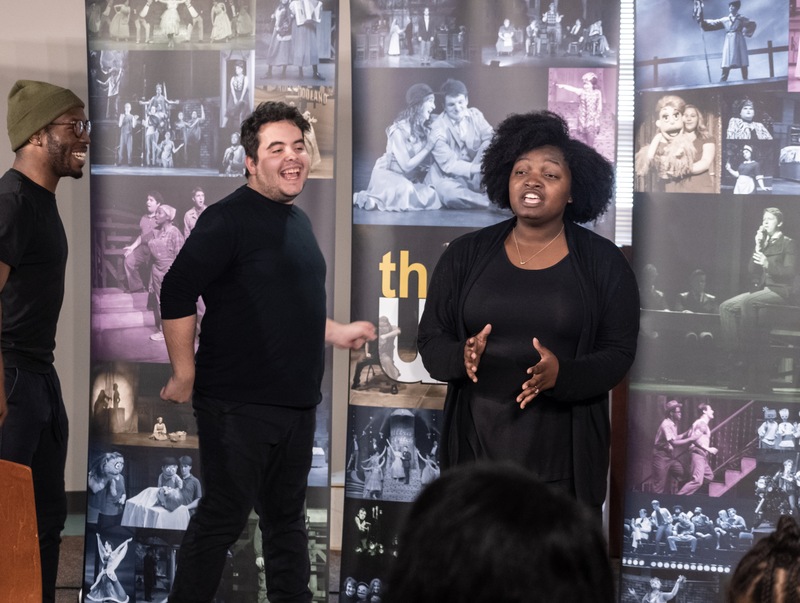 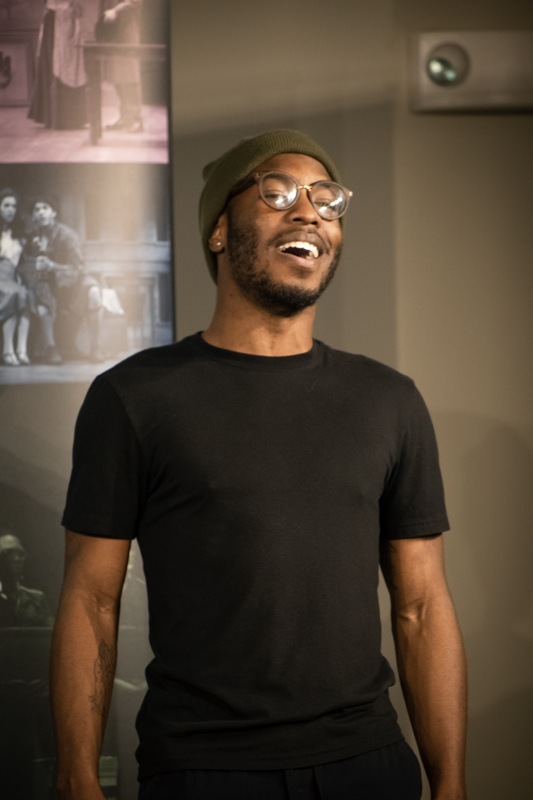 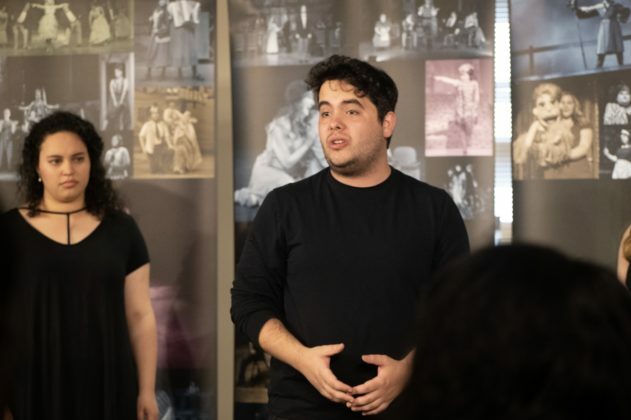 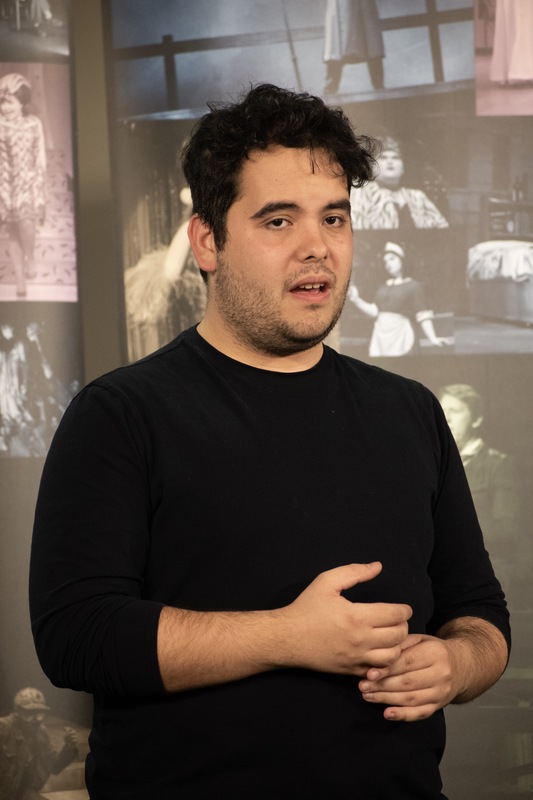 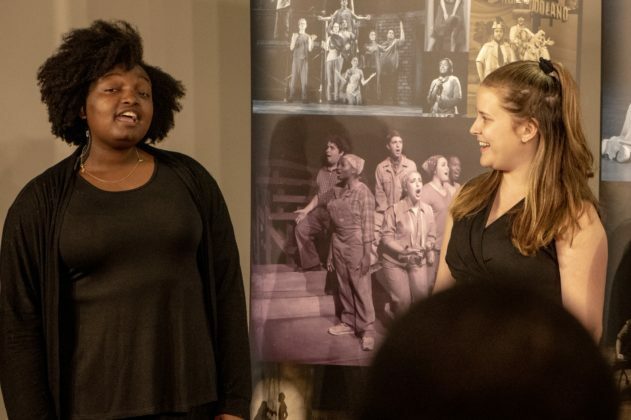 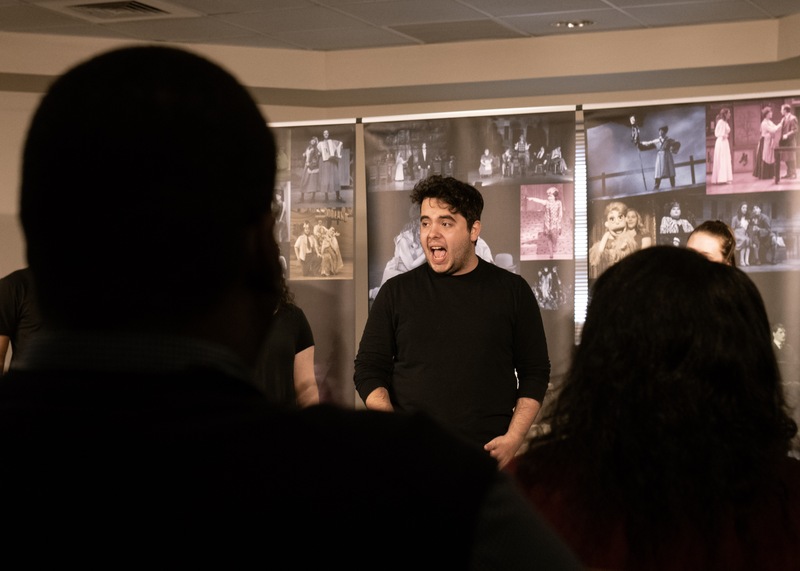 Students from the University of Alabama at Birmingham (UAB) Department of Theatre, known as Theatre UAB, performed at the Birmingham Public Library (BPL) West End Branch on March 29, presenting “Broadway Today!”—a medley of contemporary songs currently on Broadway and in movies. 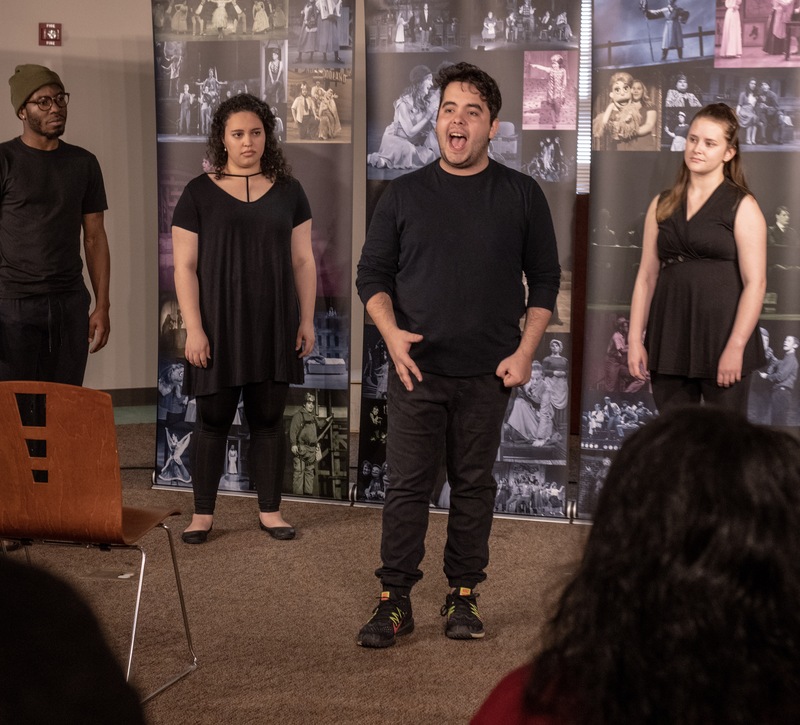 The performance came ahead of National Library Week, April 7-13, an annual celebration highlighting the valuable role libraries, librarians, and library workers play in transforming lives and strengthening communities. 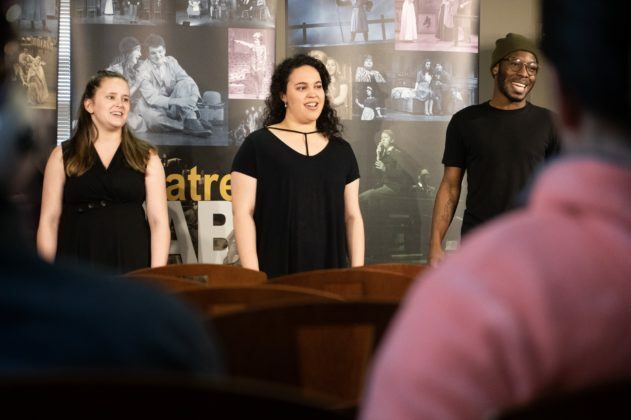 Royzell D. Walker, a senior from Cincinnati, Ohio, who is majoring in musical theatre, said it was great to give back through theatre. 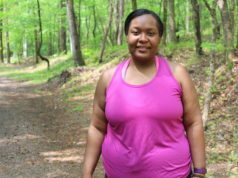 Eboni Booker, from Toney, Ala., a senior majoring in musical theatre with a concentration in premedicine, agreed. 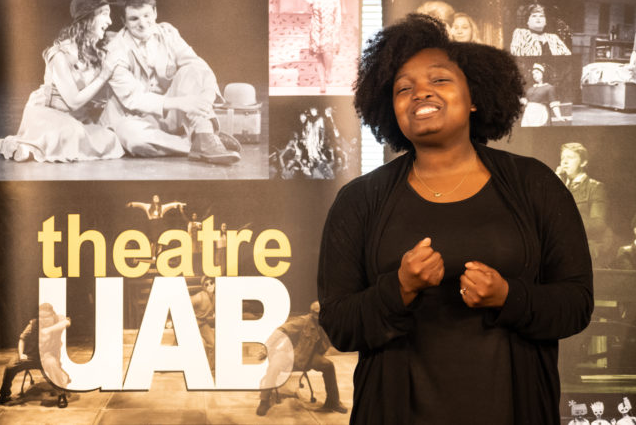 West End Branch Library Manager Maya Jones said theatre is an art medium people enjoy because it features music and songs to which they can relate. The Theatre UAB actors noted other benefits. “Like we say in our tour, theatre has a way of reaching people like no other thing can because these stories are about human beings that are just like you and me,” she said. 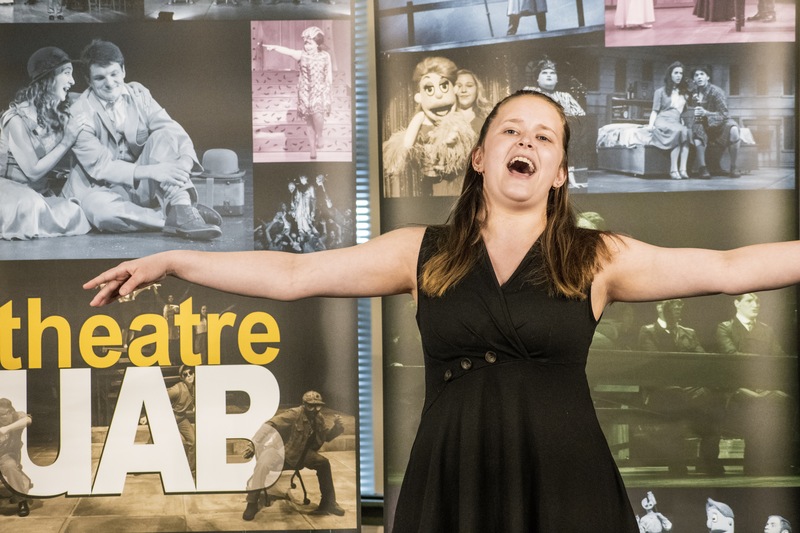 Theatre UAB also performs at middle and high schools and retirement facilities. 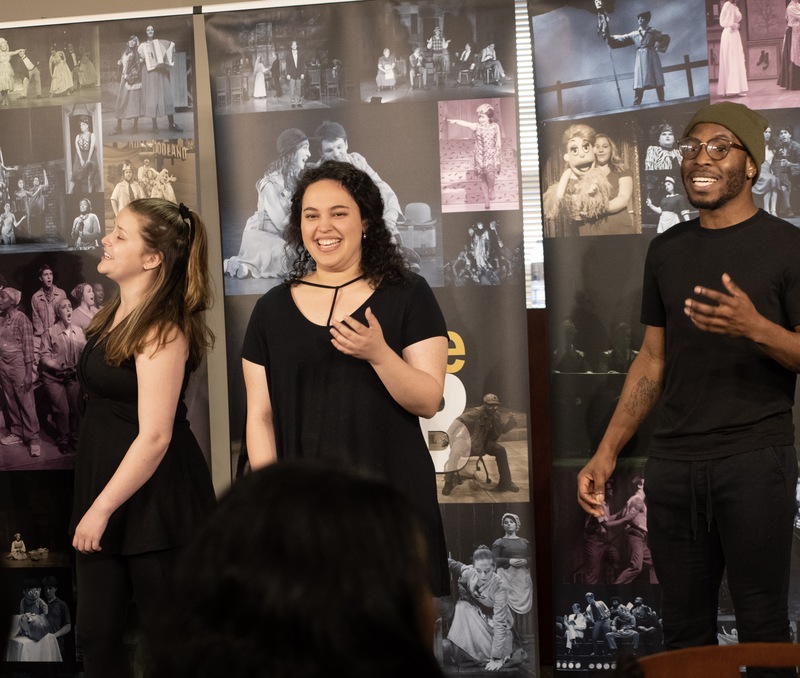 Though the group has partnered with the library for other programs, this is the first time they’ve done Broadway, Jones said. 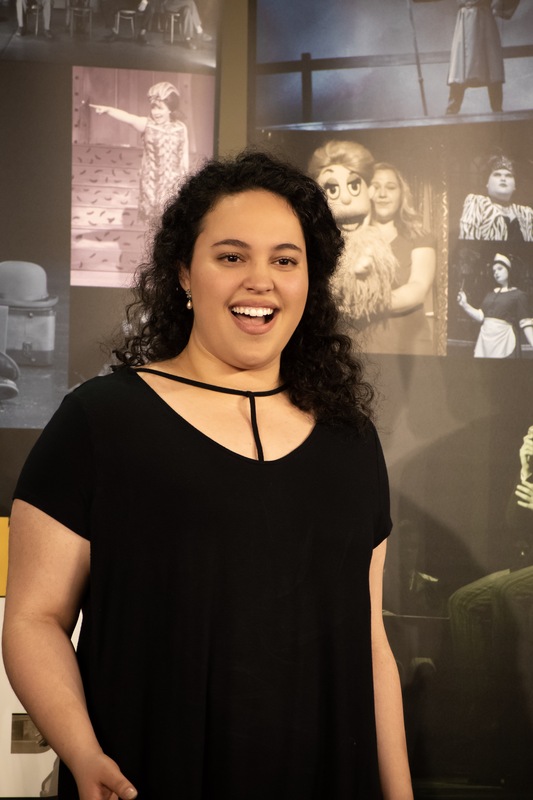 Anita Jones, a West End community resident and Jones’s mother, said she attended the event because she loves Broadway. 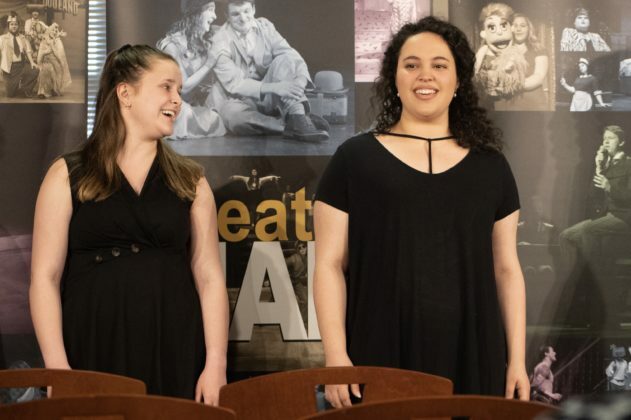 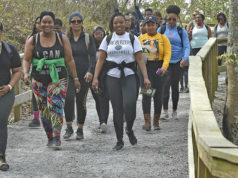 “I recognized where some of the songs came from, but I’ve never seen the Broadway shows, so that’s why I enjoyed it,” she said. 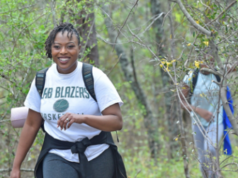 The West End Branch Library partners with UAB not only for theatre but also for several other programs throughout the year, including story time for children ages 8 and under and tutoring by UAB Honors College students. The library is for more than traditional materials, such as books, magazines, and newspapers.